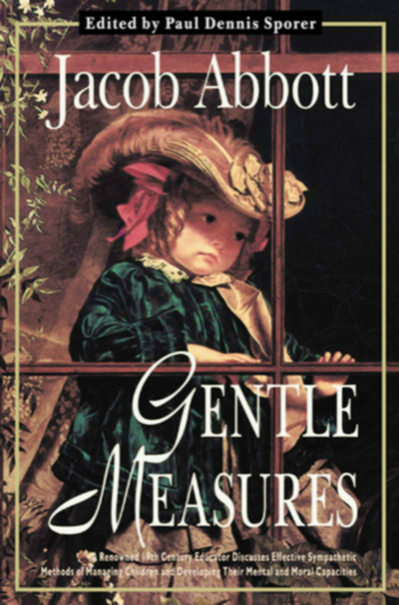 Jacob Abbott (1803-1879) was a renowned American authority on child psychology during the early modern period, whose pioneering research into child behavior reinforced the traditional concept that conscientious, carefully planned parenting was necessary for the healthy development of personality in children. His ideas were put into practice in his work as educator, and were further circulated through his many books and articles. Abbott was born in Maine, very much a true son of New England, a believer in the virtues of practicality and intelligence. He graduated from Bowdoin College, Brunswick, Maine, in 1820, and studied Divinity at Andover Massachusetts, receiving ordination as a Congregational minister. He was professor of mathematics and natural philosophy at Amherst College, and afterward he established the Mount Vernon school for girls in Boston. In 1834 he organized a new church in Roxbury (the Eliot Church) and became its pastor. He subsequently devoted himself almost exclusively to literary labor, and traveled extensively abroad. His diverse work exceeds 200 titles, including editing several historical textbooks. Many of his works are in serial, each series comprising from 3 to 36 volumes. Among them are the "Young Christian" series, the "Franconia Stories", and the "Science for the Young" series. He also published a number of widely-read books, including "A Summer in Scotland"; "The Teacher", and "Gentle Measures", with the last book probably his most important work.